We all know how wonderful it is to be out in the sunshine and fresh air. But we have also learned as a society that too much sun can be damaging to our skins health. This is especially true for little ones. There are many options to protect our children from too much sun exposure. Of course, we can make them wear long sleeves and pants, but most parents only want to have to use this option in extreme cases. There are also a variety of sunscreens to choose from, but we are also learning some of the negative effects sunscreen can have on our health and on the environment. So what are we to do? One option for your backyard is a mesh shade tarp. Shade tarps are not meant to block all of the sun. They typically provide 75% protection from UV rays. This is good news, because although we need to protect our skin from harmful UV rays, the sun also provides very essential Vitamin D. Having a mesh tarp provides protection, but also allows your children to soak up some of the benefits of the sun. 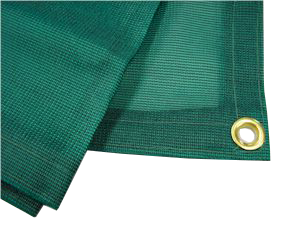 The greatest and most obvious benefit to a mesh shade tarp is of course that it will help keep your and your little ones cool in the heat of the sun. It’s hard to keep kids active when they are just too hot. Providing shade over their areas of play can help provide them many extra hours outside, playing and having fun! 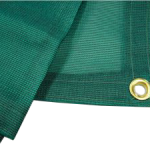 For more information about our tarps and canopies, please contact us. This entry was posted in mesh shade, mesh tarps and tagged mesh shade, mesh tarps on November 9, 2015 by CanopiesAnd Tarps.